Just a little heads up to those of you that are really into fishing, the Columbus Fishing Expo this year will be held on Feb.13th-15th. 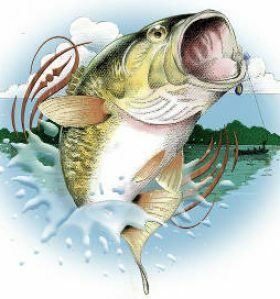 Its a family-friendly event geared towards educating anglers of all ages and skill levels about the sport of fishing, visitors will be treated to a full schedule of seminars and demonstrations from some of the industry’s leading experts. Headlining the show will be Dave Marciano, star of the hit reality show Wicked Tuna. Marciano is scheduled to speak to the crowd on Saturday and Sunday, and will be available to sign autographs for those in attendance. Professional bass anglers from The Bass University will also be on hand throughout the Expo, demonstrating the hottest bass fishing techniques to the audience with the aid of The Hawg Trough, a portable 5,000 gallon aquarium that’s stocked with sport fish. • Instructional courses on how to use modern day electronics. Tickets are $12 per day for adults age 18 and older, and can be purchased at the gate, or online for $10 by visiting www.columbusfishingexpo.com and all children age 17 and under who attend the Expo with a paying adult will receive FREE ADMISSION (limit two children per paying adult per day).